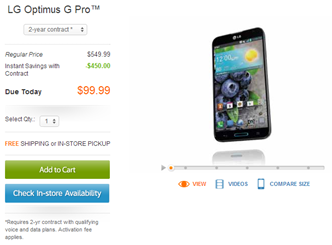 If you're in the market for a new phone, LG's Optimus G and Optimus G Pro are both solid choices for your hard earned dollar. And to make that dollar go just a little further, AT&T just knocked a fairly substantial amount off of both devices, effectively cutting the cost of each in half. Moving forward, you'll be able to grab the monstrous 5.5-inch Optimus G Pro for a single, solitary Benjamin. 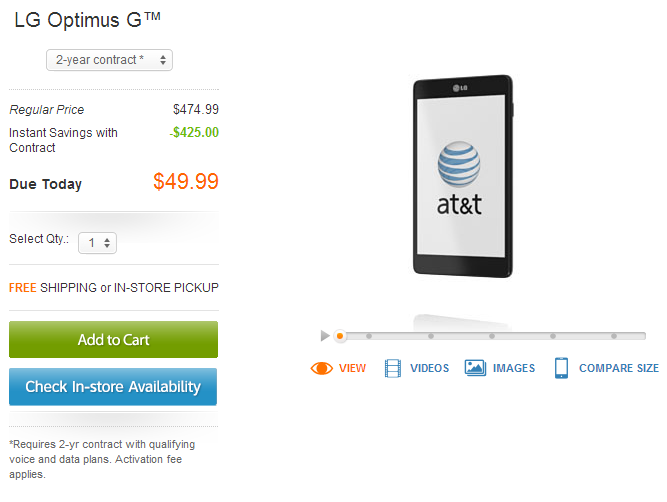 If the Optimus G is more your speed, however, you can cut that price in half – the device just hit the $50 mark. No ordering, no waiting. 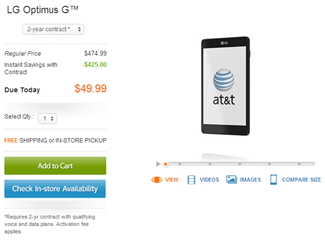 You can walk right into AT&T right now and grab either device for those prices. Not bad. Hit the links below to check 'em out.